The discounted admissions booklet gets you in the door for less at some of the best attractions in the city. For just $49, the booklet is good for admission at the Perot Museum of Nature and Science and Reunion Tower GeO-Deck, and then you'll have to pick between The Sixth Floor Museum or Dallas Zoo, as well as the George Bush Presidential Library & Museum or the Dallas Arboretum. If you just did this option and nothing else on this list, you'd have a solid time in Dallas. Every third Friday of the month, 'Til Midnight at the Nasher puts on live outdoor concerts in the garden, while the Crow Collection of Asian Art shows off ancient and contemporary pieces from the arts and cultures of Asia. End the night at the Dallas Museum of Art – it, along with the Nasher and Crow, is open until midnight. You'll find a good mix of millennials and families at the market on any given day, but the crowd is especially lively on the weekends. 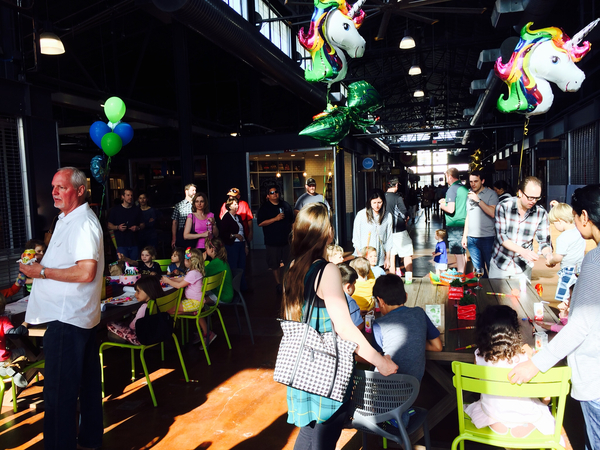 Start at the Shed, an indoor market space with restaurants, before making your way to the Market, where you will find produce and artisan booths. An afternoon at the Dallas Farmers Market should be on your solo itinerary. Deep Ellum is known for its lively street art and there's always new ones to check out. There's three main streets to stroll – Main, Commerce and Elm – and admire the street art. Get lost and explore using this guide as a starting point. An afternoon at the original Neiman Marcus in Downtown Dallas is a bucket-list item for any shopping aficionado. Work up an appetite by perusing each floor and end at the 6th floor Zodiac Restaurant for a fine dining experience. One of the best views of the Dallas skyline is from the Ron Kirk Pedestrian Bridge. The bridge itself is quite a show, too – so selfies are required. 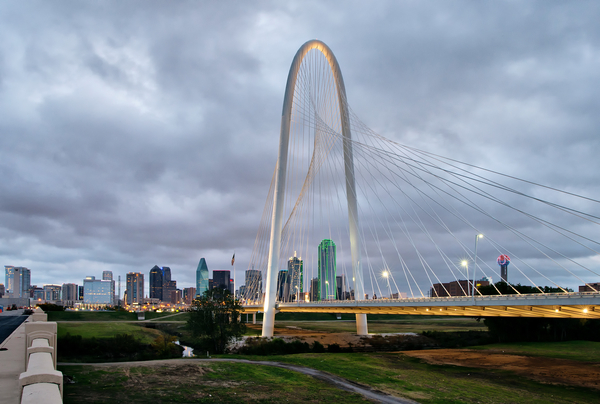 Enjoy one of the best views of the Dallas skyline at the Ron Kirk Pedestrian Bridge. The neighborhood is artsy and eclectic and thanks to a healthy selection of consignment shops, you can spend hours wandering through the aisles and find a few treasures. Again & Again, Lula B's and White Elephant Antiques are three easy spots to find along Riverfront Boulevard and they're all walking distance from each other. Grab a new book and a cocktail at one spot. The Bishop Arts neighborhood bookstore and bar has a fantastic selection of poetry books and plenty of room to hang out for an afternoon. You're alone, so why not splurge on a better seat? Get right on the ice at a Dallas Stars hockey game or spring for a center field Cowboys view at AT&T Stadium. A seat for one will be easier to find and if you're lucky, you might get one right behind Mark Cuban at a Mavs game. See the Dallas Stars on the ice in a better seat. From the Texas Theatre (where Lee Harvey Oswald was arrested in 1963) to the Angelika, there's quite a few movie theaters to escape the heat and the real world. Treat yourself without even leaving your hotel. Try ESPA at The Joule for their signature treatments and a complimentary glass of champagne at the salon. If you're staying at the W., head to the Bliss Spa. Located on the 16th floor of the hotel, it includes nine treatment rooms, movies-while-you-manicure and a brownie bar. Eating alone doesn't mean you have to grab room service or casual food on the go. 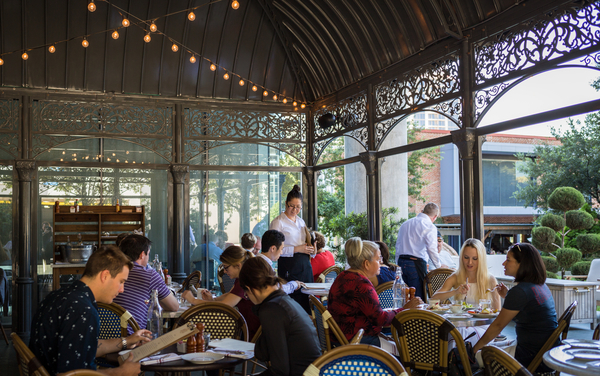 A bar seat at Gemma or a window seat at Mercat Bistro are two of our top choices - check out our list of spots to enjoy a solo meal! Table for one amazing meal at Mercat Bistro in the Harwood District. Save your pennies for another one of the activities on this list and take advantage of free admissions at many museums in the city. The Crow Collection of Asian Art, Dallas Contemporary, African American Museum, Samurai Collection and Dallas Museum of Art are always free and provide hours of cultural entertainment. Enjoy a night of Gaybingo, presented by the Resource Center and hosted at S4 in the Oaklawn neighborhood every third Saturday of each month (February through November only.) The night consists of a drag queen host, comedy and entertainment all night long. A Tasteful Place at the Dallas Arboretum offers daily tastings, while The Mozzarella Cheese Company in Deep Ellum offers wine (or beer) and cheese pairings a few times each month. There's also an Uptown Foodie Walk that takes you through some of the best eateries in West Village. 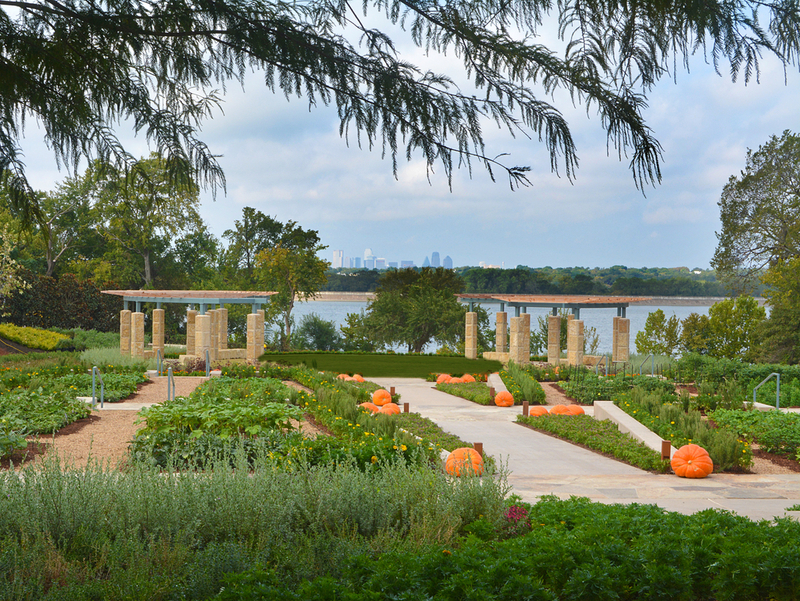 A Tasteful Place at the Dallas Arboretum overlooks White Rock Lake with a sliver of the Dallas skyline. Head to the Design District (and back to your childhood) with Cidercade's mix of new and retro games. There's a wall of pinball machines along with classics like Centipede, Galaga and Mrs. Pacman and the bar serves more than 20 ciders on tap. Read more about it here.